The photos on this page were taken by Trevor Hall in the summer of 1989 and are a small part of his Atlanta Hartsfield album over on flickr. While the terminal looks much the same as it does today in these photos, it's a little startling to see how many of these airlines have vanished and how most of these aircraft types have virtually disappeared from the skies. Thanks again to Trevor for letting me share these here! 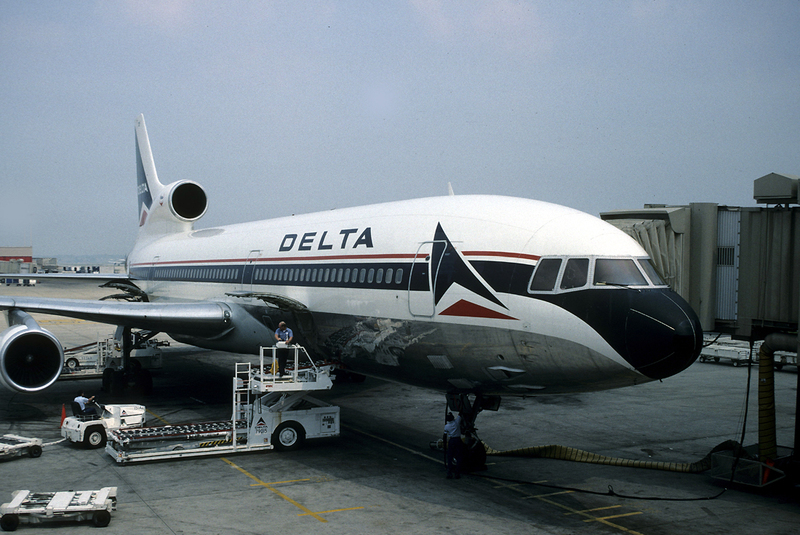 Delta's Lockheed L-1011 Tristar N721DA is seen at Atlanta's Hartsfield Airport on July 30th, 1989. 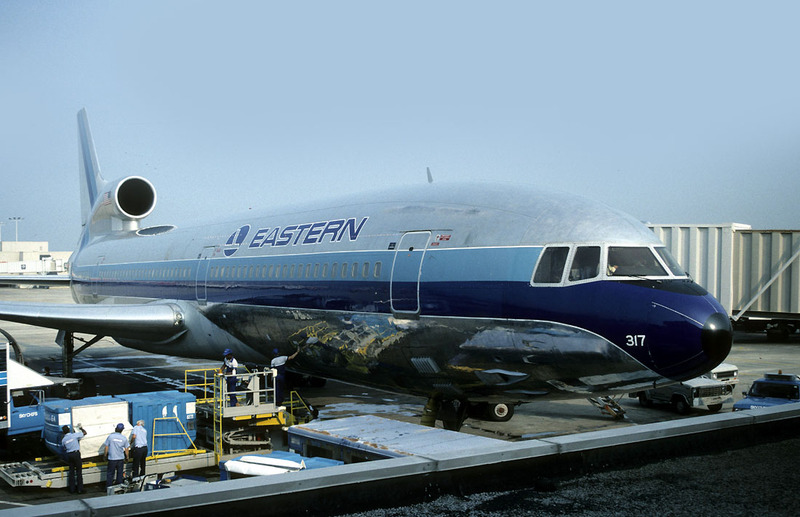 Eastern Air Lines Lockheed L-1011 Tristar N317EA at ATL on July 31st, 1989. 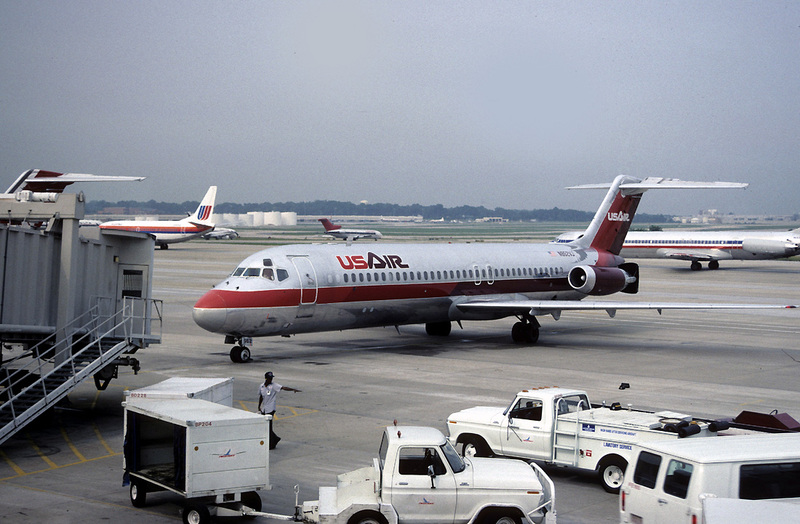 United Airline's Boeing 727-222 N7632U at Atlanta's Hartsfield Airport on July 28th, 1989 wearing an updated version of the classic three-color Saul Bass livery. 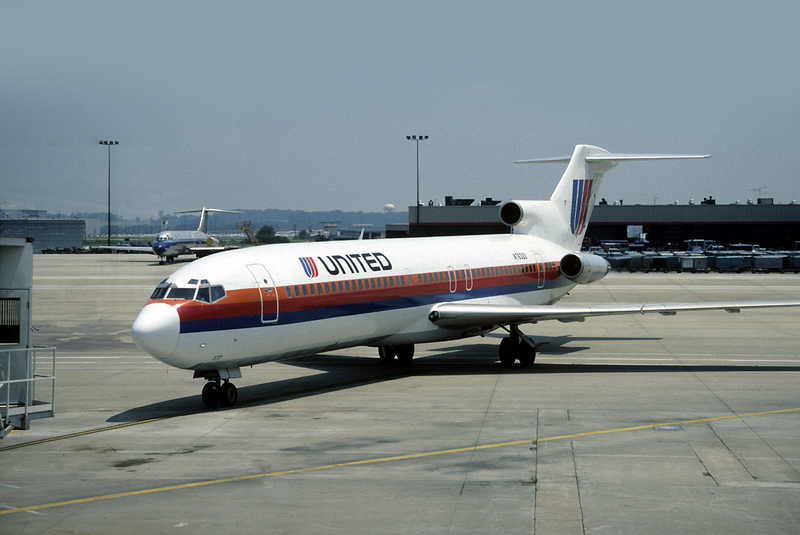 United left the Atlanta market in 1979 but returned in the mid 1980s. 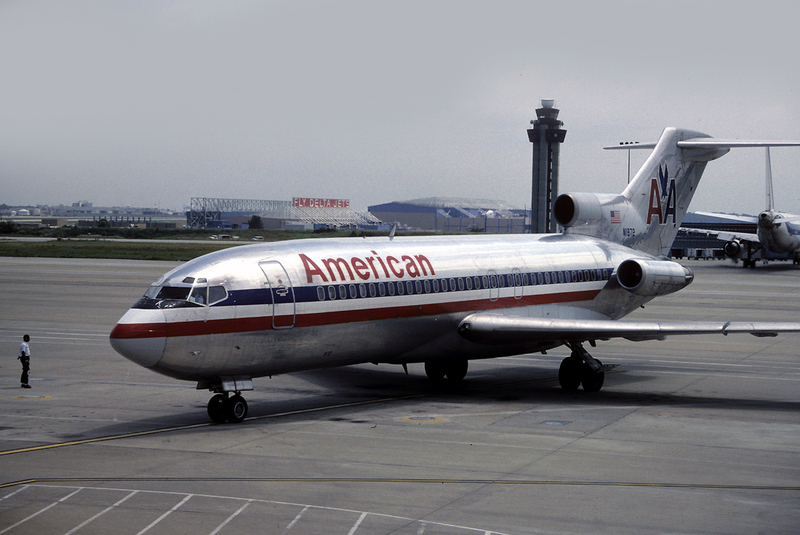 American Airlines Boeing 727-23 N1972 arriving at the gate on August 2, 1989. 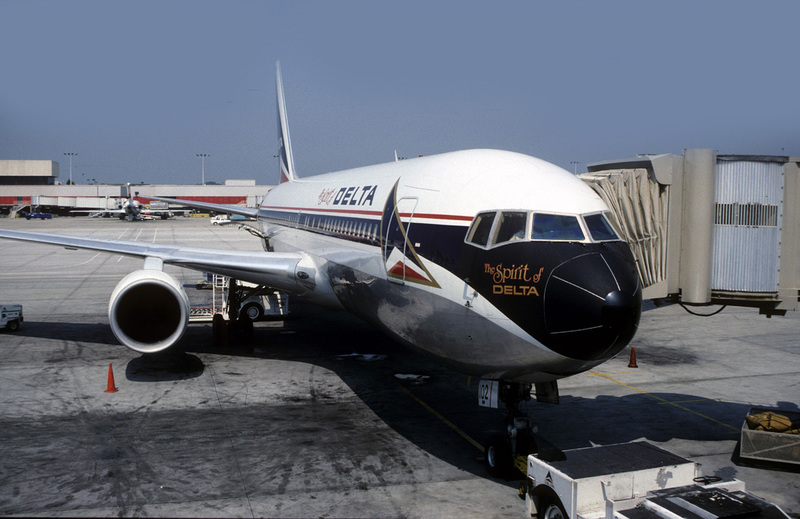 Delta's 'The Spirit of Delta' Boeing 767-232 N102DA seen at Atlanta's Hartsfield Airport on July 29, 1989. This aircraft is preserved at the Delta Flight Museum. 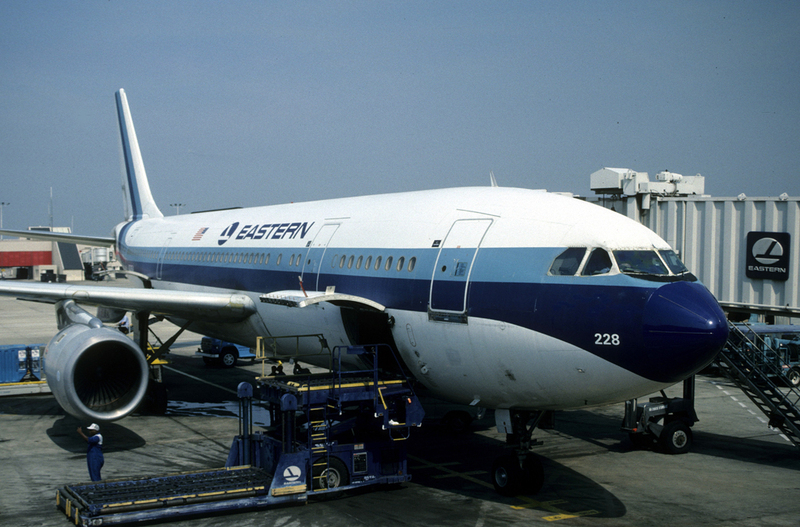 Eastern A-300B4 N228EA at Atlanta's Hartsfield Airport on July 29, 1989. 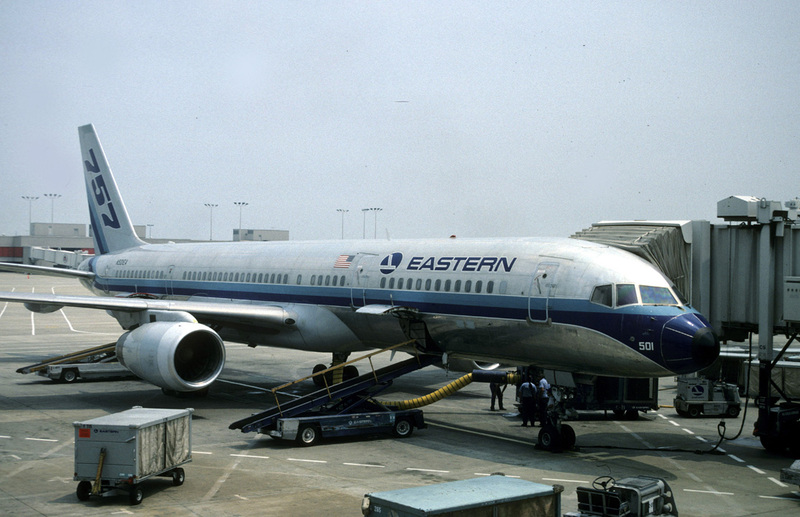 Eastern Air Line's Boeing 757-225 N501EA is pictured at Atlanta's Hartsfield Airport on July 30, 1989. It was the 2nd Boeing 757 built. 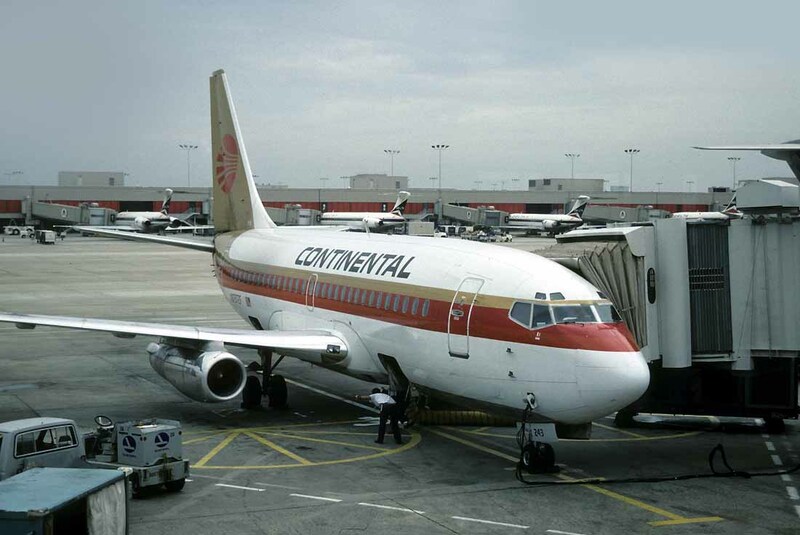 Continental's Boeing 737-2C0 N7372F at Atlanta's Hartsfield Airport on August 2, 1989. 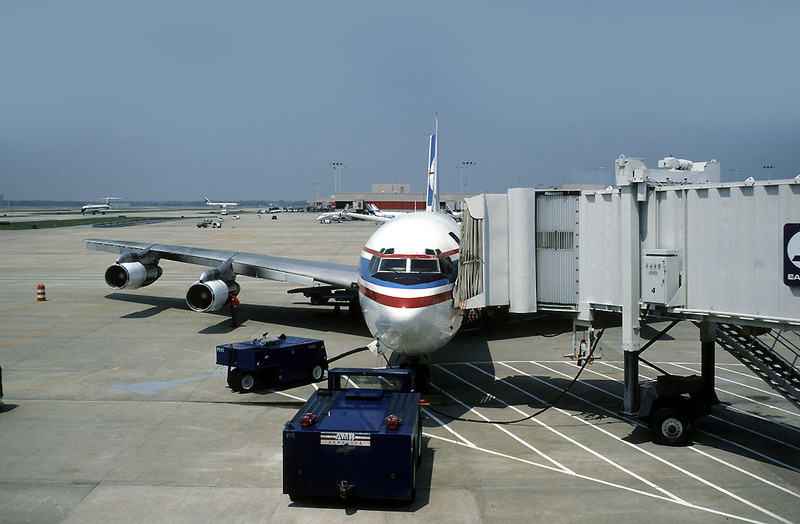 The airline served Atlanta from hubs at Newark and Houston Intercontinental. 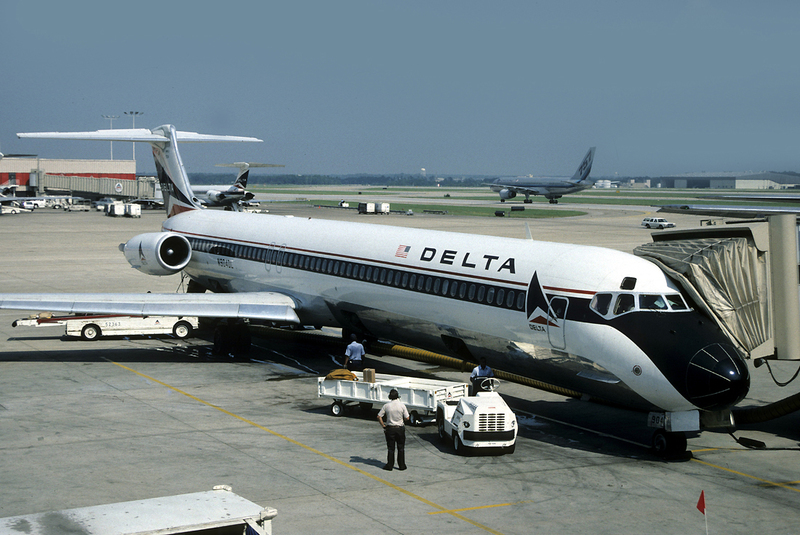 Delta Boeing 727-247 N2809W at Atlanta's Hartsfield Airport on August 2, 1989. 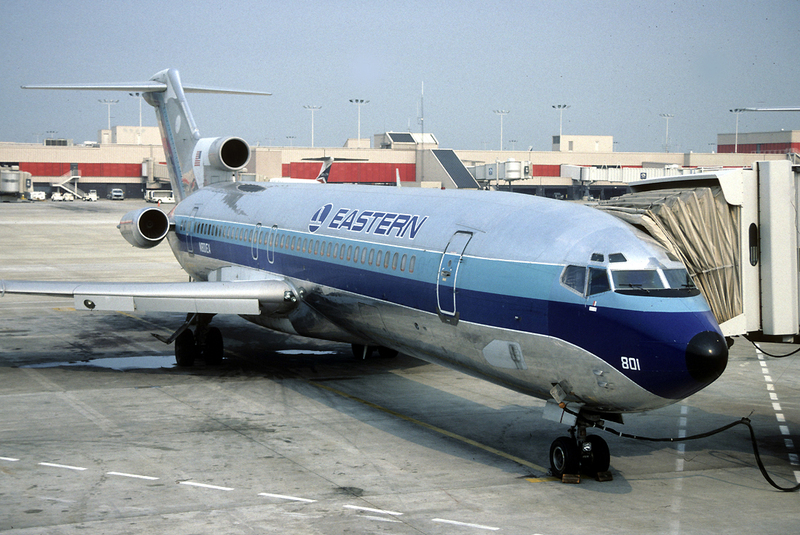 Eastern Air Line's Boeing 727-225 N801EA is seen at Atlanta's Hartsfield Airport on July 30, 1989. 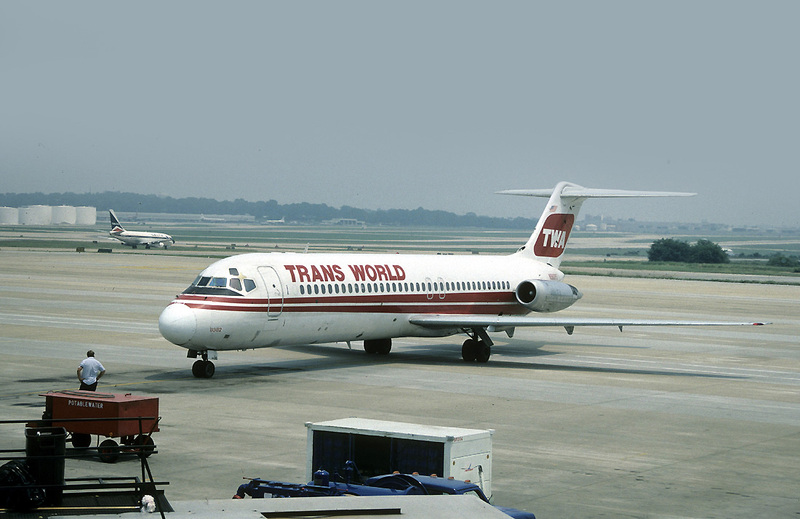 New to Pacific Southwest Airlines in January 1968, TWA's DC-9-32 N982PS is pictured at Atlanta's Hartsfield Airport on July 30, 1989. It was permanently withdrawn from use at Roswell by 2005. US Air's DC-9-31 N952VJ is seen departing the gate at Atlanta's Hartsfield Airport on July 31, 1989. Note the reverse thrust! 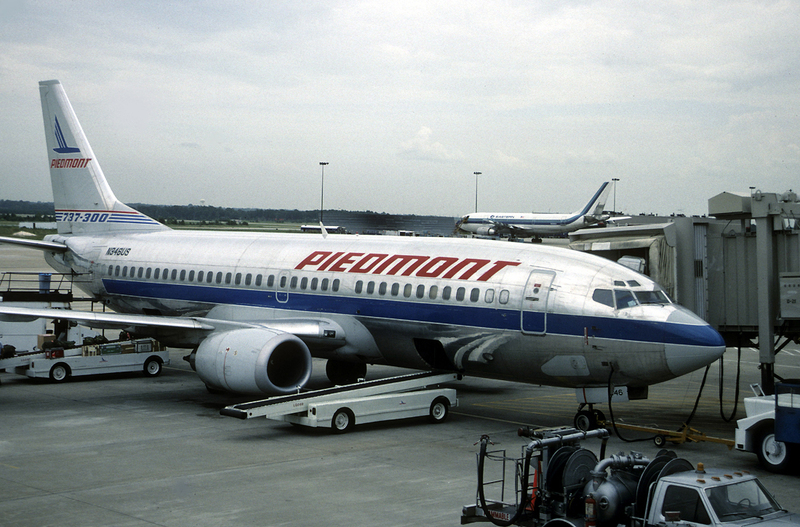 Piedmont's Boeing 737-301 N346US at Atlanta's Hartsfield Airport on August 1, 1989. 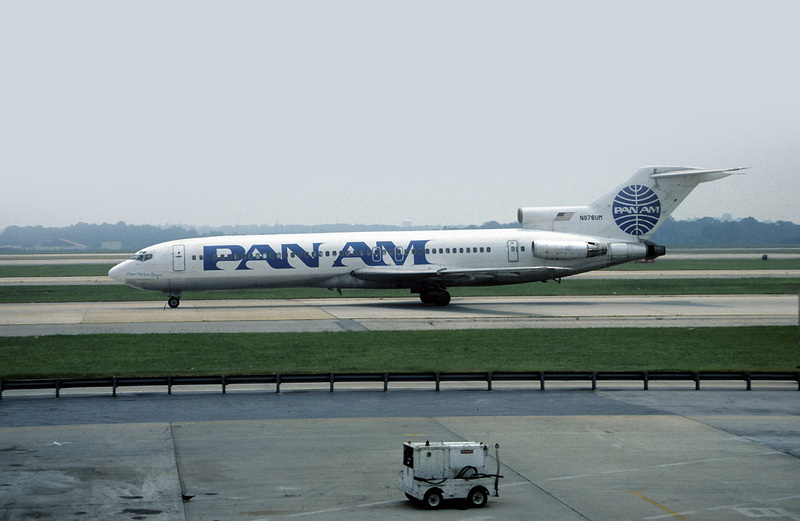 Pan Am's Boeing 727-230 N876UM at Atlanta on July 30, 1989. This is the former Lufthansa 727 D-ABCI. Braniff's Boeing 737-222 N459AC in the "Reebok" color scheme is seen approaching a gate at Atlanta's Hartsfield Airport on August 1, 1989. 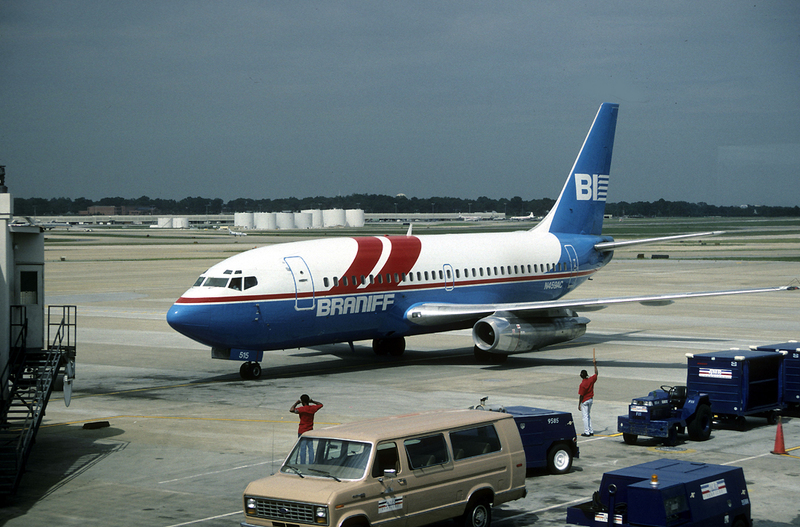 Braniff's BAC 1-11 203AE N1548 (msn 42) is seen at Atlanta's Hartsfield Airport on August 1, 1989. This plane was delivered to the original Braniff in 1965 and later flew with Allegheny, Pacific Express and then Florida Express before returning to Braniff the 1980s. It was reportedly scrapped in 1997. 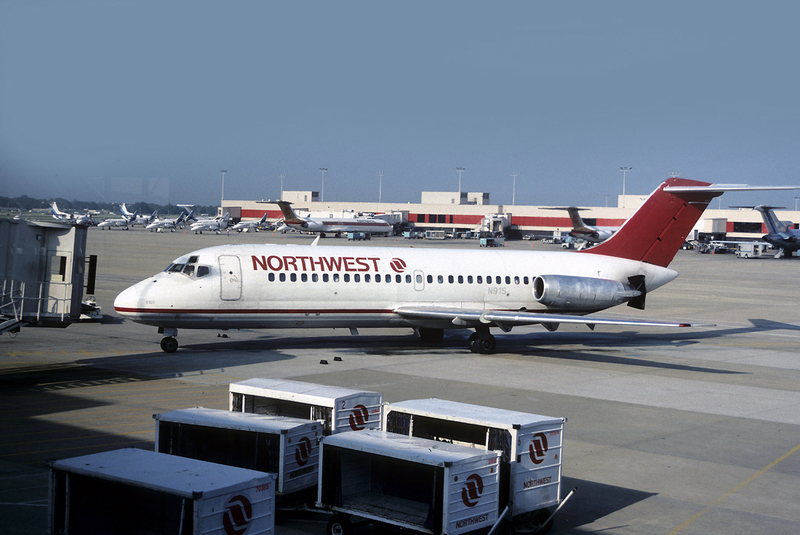 Northwest Airlines Boeing 727-251 N290US is seen approaching the gate on concourse D at Atlanta's Hartsfield Airport on July 31, 1989. 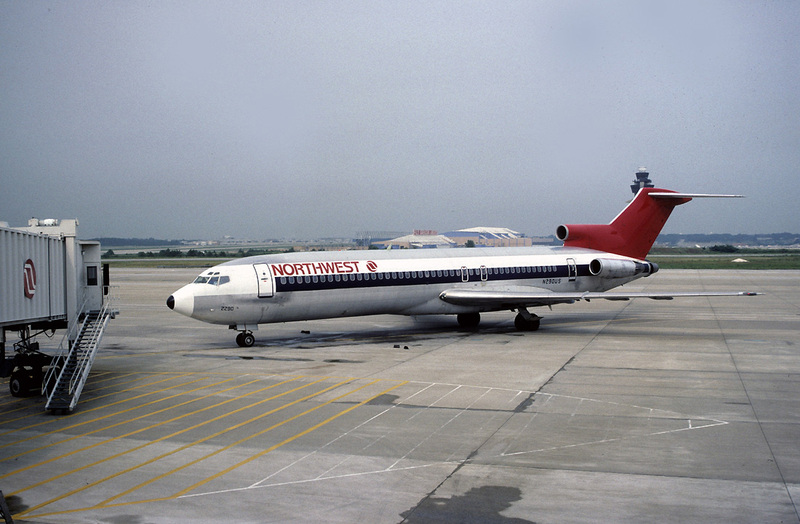 Northwest's DC-9-15 N91S is seen at Atlanta's Hartsfield Airport on August 1, 1989. 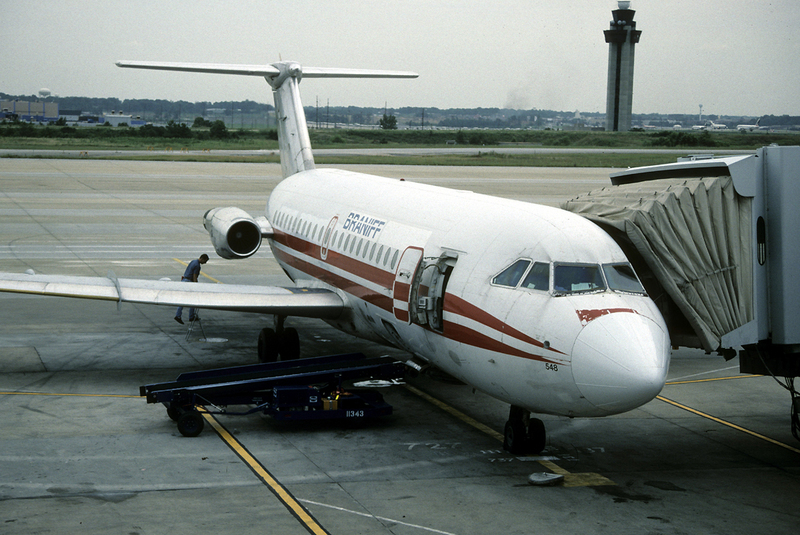 It was originally Southern's first short bodied DC-9. 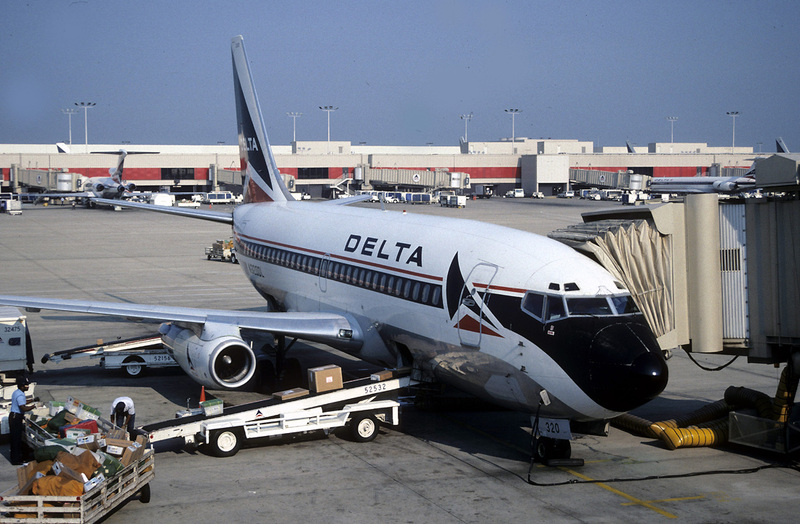 Delta Air Lines Boeing 737-232 N320DL is seen at Atlanta's Hartsfield Airport on July 28, 1989. It was still active as a freighter with Northern Air Cargo in 2018. 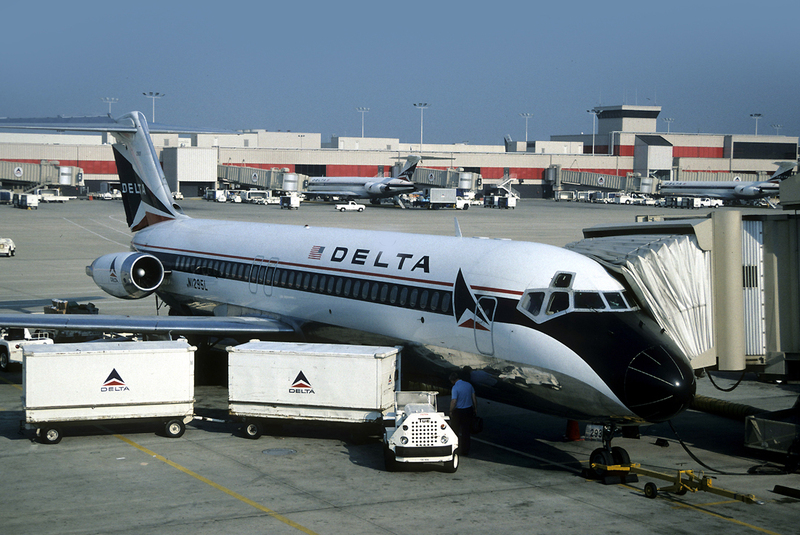 Delta Air Line's DC-9-32 N1295L is seen at Atlanta's Hartsfield Airport on July 28, 1989. 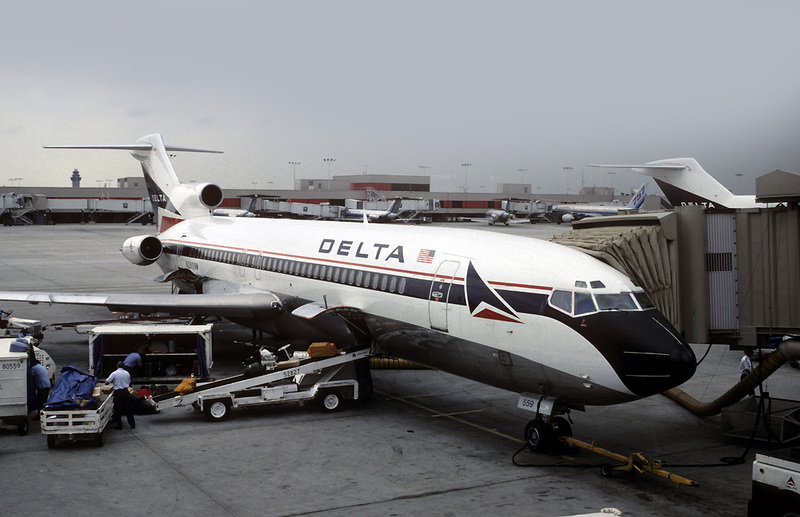 Delta's MD-88 N904DL at Atlanta's Hartsfield Airport on July 27, 1989. As of 2018 this aircraft is still flying with Delta! 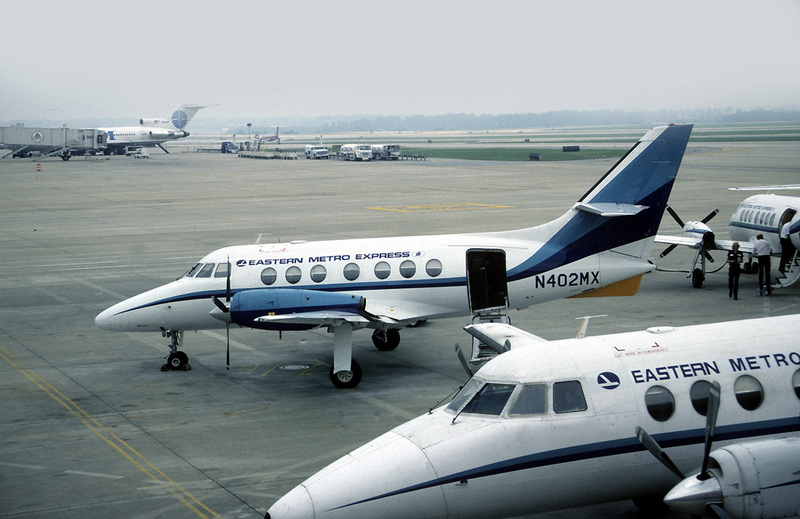 Eastern Metro Express Jetstream 31 N402MX is pictured at Atlanta's Hartsfield Airport on July 30, 1989. Like most of the early Jetstream 31s it has since been scrapped. 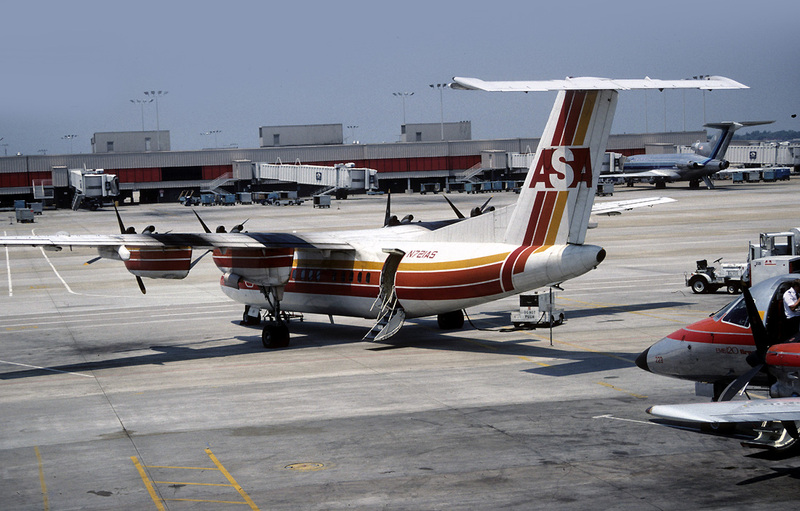 ASA DHC-7 N721AS is pictured at Atlanta's Hartsfield Airport on July 28, 1989. 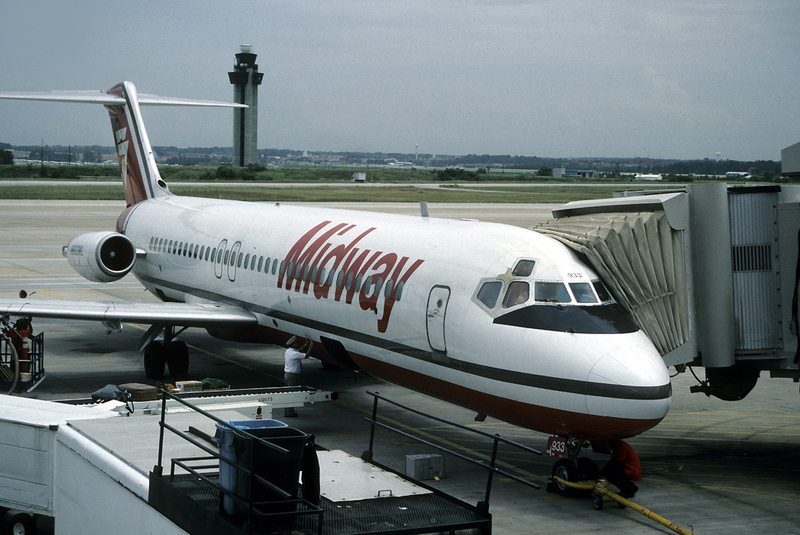 Midway Airline's DC-9-31 N933ML is seen at Atlanta's Hartsfield Airport on August 1, 1989. Trevor Hall writes, "I'd first seen Independent Air's Boeing 707-331B N7232X as TWA's N28724 at London's Heathrow Airport, but it is pictured here at Atlanta's Hartsfield Airport on July 29th 1989."